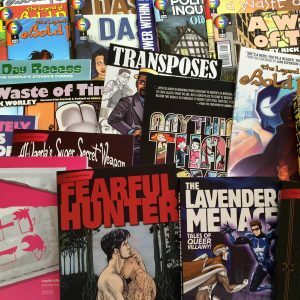 Click here to see our Retail Catalog of original graphic novels, collections, and comics. U.S. retailers and distributors can order books at a 60% discount. Media Mail shipping to addresses in the U.S. is free for orders of 5 items or more. This discount is only for retailers and distributors, as well as libraries and community resources. Shipping address must be a business address and include the name of the company. U.S. and international retailers and distributors can order books with payment due 30 days after shipping (NET 30 terms). They will get a wholesale cost discount (50% off) from Northwest Press. For orders of 5 items or more, shipping is free for U.S. orders and discounted 50% for international orders. Send orders by email to orders@northwestpress.com or mail a purchase order to the postal address below.